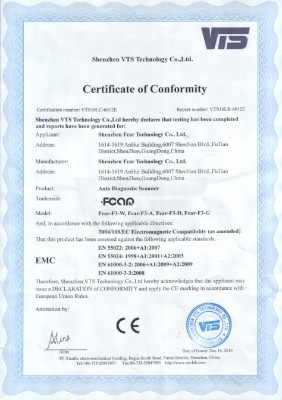 Company Overview - Shenzhen Fcar Technology Co., Ltd.
9YRSShenzhen Fcar Technology Co., Ltd.
FCAR Technology was established in 2007 in Shenzhen, China, and today is the industry leader in diagnosis. FCAR Technology has operates virtually all over the world, through an extensive distribution network, while in the United States, Canada, Great Britain, Germany, Poland, Russia, Mexico, Latin America, Middle East, Malaysia, Korea, Japan, South Africa and many other countries and areas. It markets its products directly through its own distributors. All FCAR tools are designed, engineered and built in China, using modern automated lines, a guarantee of advanced technology, maximum precision and good performance. 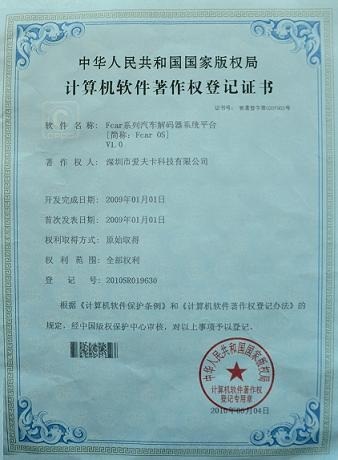 FCAR focuses on careful attention to product quality, and has obtained certification in accordance with the strict international standard for suppliers of original equipment to the automotive industry. FCAR CORE VALUESCORPORATION MISSIONTo provide the most immediate, accurate, convenient and comprehensive automotive diagnostic products for vehicle maintenance and diagnosis. CORPORATION VISIONTo be a professional and authoritative product supplier for global diesel diagnosis, to be a respected international corporation and offer dream platform and opportunity to shareholders, employees, distributors and customers.